We are proud of the significant efforts we employ to minimize our environmental footprint while balancing the need to be economically viable. We have achieved this using a sound, structured Integrated Pest Management Program. IPM is an effective and environmentally sensitive approach to pest management that relies on a combination of scouting, timely action steps & overall knowledge – in regards to both the life cycles of the crops & the pests that prey on them. IPM programs use current, comprehensive information on the lifecycles of pests and their interaction with the environment. This information, in combination with available pest control methods, is used to manage pest damage by the most economical means, and with the least possible hazard to people, property, and the environment. Strawberries, Peaches, Nectarines, Sweet Corn, Apples & Pumpkins. Although not ‘Certified Organic’ a number of our produce items are grown Completely Chemically Free. So what’s the difference between growing organically & chemically free? Allot of paper work for one thing. But more importantly produce grown chemically free (at March Farm) is meticulously maintained which lowers the risk of disease & infection to the plant due to human pruning/training errors. The growing area itself is also kept in immaculate condition – no weeds are allowed to grow that can harbor pest insects & no plant material/pruning’s are left behind that can harbor disease. Even the environment itself is controlled (for our greenhouse grown offerings) in terms of heating, cooling & humidity to create an ideal growing environment for plants – not insects or disease – many of which thrive in high humidity conditions. Extensive daily scouting is performed to identify any potential issue before it becomes a serious problem with many types of beneficial insects released on a weekly basis to keep pest pressure in check. Dutch Variety Tomatoes, Cherry Tomatoes, English Cucumbers, Mini Cucumbers, Basil & other Herbs, Beets, Kale, Arugula, Lettuce, String Beans, Sugar Snap Peas, Cherries, Summer Squashes, Blueberries, Blackberries, Broccoli, Carrots, Melons, Onions, Peppers & Winter Squashes. Members will be notified of any changes to a particular practice due to unforeseen environmental damage or pest pressure. We appreciate everyone’s interest & feedback since our first CSA season in 2014. Many people have asked whether or not the March Farm CSA will feature organic produce.  As explained above, March Farm does not grow ‘Certified’ organic produce – we grow produce both conventionally & chemically free in accordance to strict IPM programs developed in cooperation with the University of Connecticut’s Agricultural Extension Program. When it comes to growing organically consumers should always keep in mind that organically grown produce doesn’t necessarily require the time and labor that goes into growing something chemically free – sometimes leaving the consumer paying a premium for a low crop yield due to inadequate plant & growing area/field maintenance. During guided CSA tours of our growing facilities/areas members will see first hand just how meticulously farming must be performed to grow not only chemically free but also conventionally using the least amount of spray materials possible. We can’t wait to show you around! I have read and understood the membership agreement. Interested in membership for the 2019 season? Please complete the fields below and we'll contact you when registration opens!